'This is the place to be!' is what everyone who has been to the south Indian state of Kerala will tell you. Travel to Kerala and be awed by stunning coastal scenery as the state is blessed with fabulous backwaters that add picturesque beauty to the landscape, beaches, waterfalls, and set off to discover the cities and towns of Kerala such as Trivandrum and Khozikode and their magical historical places, where you will find yourself back in past time. Besides these attractions, one can look forward to dense rainforests, exotic wildlife, adventure activities, and a wide variety of experiences when they happen to be in the God’s Own Country as Kerala is lovingly called. 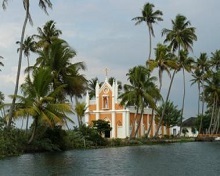 Kerala, the land of backwaters, is one is one of the most envied travel destinations of India. Very few places boast as much as Kerala for stunning backwater regions, peerless treasures, and historical sites and mystical intrigue. Once here, you will find that this state does justice to its sobriquet “God’s own Country”. A trip down the backwaters is arguably the best way to explore rural hinterland in Kerala in all its subtle beauty. A ride along the palm fringed waterways against the backdrop of local life passing by would be an unforgettable experience. While Wayanad and southern Kerala have witnessed a tourism explosion, the quiet northern coast of Malabar from Kasaragod to Palakkad has been largely overlooked. Here you would be visiting stunning sea forts and savour Moplah cuisine as you explore India’s historic Spice Coast. Key attractions include the 4km drive-in beach Muzhappilangad and the maiden in Thalassery where cricket was played for the first time in India. For those who have a love for adventure many places in Kerala are ideal hotspots. While sea based parasailing is offered on Varkala beach and Alapuzzha beach in Kerala, Kitesurfing which combines the best of wind and water is available at Kovalam beach in the state. In fact, Kerala offers plenty of adventure activities to satisfy all but the most jaded of adrenaline junkies. Kerala is also the state of amazing biodiversity. A visit to Kerala would be a rewarding experice for wildlife lovers who will spot several species of birds at Thattekad, 60 km away from kochi, Thattekad is a birdwatcher’s haven rich with a wide range of endemic and migratory species birds, most of which can be spotted all year round. Kumarakom Bird Sanctuary also boasts rare species of birds, both local and migratory. 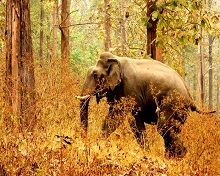 The wild elephants of Periyar Wildlife Sanctuary at Thekkady in the high hills of the Western Ghats are feast for eyes. The very words of Ayurvedic treatment bring to the mind the destination of Kerala, India's most verdant state. Once enjoyed only by Indians but now gaining a worldwide popularity thanks in part to the growing number of Ayurvedic spas, hordes of visitors to Kerala are discovering the holistic benefits of traditional Ayurvedic massages. 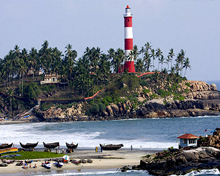 Kerala’s attraction does not, however, rest solely in its natural aspects. Some of you might be surprised to know that there are other important reasons for Kerala tourism. Apart from the stunning beaches and backwaters, Kerala has also an impressive collection of architectural sights, including its churches, temples, forts and historical buildings. Mattancherry Palace in Cochin, the second largest city in the state, Bekal Fort Padmanabhapuram Palace and Thalassery Fort are some of the architectural marvels of the state. Kerala with its unique assortment of spices and veggies opens up a whole new world of indigenous cuisines. Apart from the above, there are numerous treasures that are tucked away in the lap of Kerala’s interiors where the visitors will discover an array of attractions that will help them gain an understanding of local culture. This means there are several tourist attractions in Kerala that will keep the visitors busy when they aren’t soaking up rays on the beaches or enjoying the backwaters cruises. It can be said with absolute certainty that your trip to Kerala will be an unforgettable one.